I have had many sweet reds and to me most of them have come across tasting something like the cough syrup my mother gave me as a child, very sweet and sticky. I was very pleasantly surprised by this Rosso. This Rosatello Rosso is sweet (but not too sweet) and easy to drink, it is light, fruity and fresh. The wine invites you to taste with the aromas of fresh honey, ripe fruits with a hint of roses. After accepting the aromatic invitation, you come to the flavors of raspberries, blueberries and red currants. 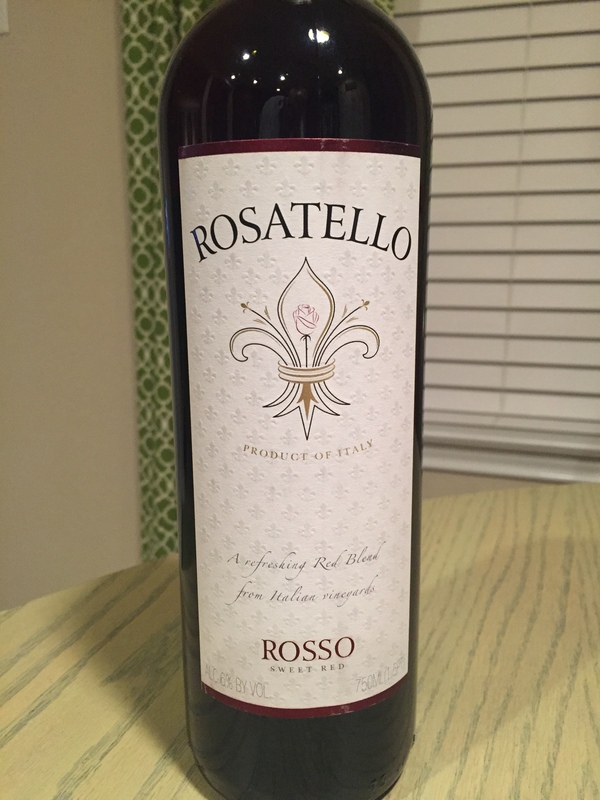 The Rosatello Rosso is a flavorful red blend that is well balanced. I would serve this wine with dessert or as a refreshing drink on a warm summer evening. The vintner also recommends using it as the base for a cocktail called Fleur De Jamaica.